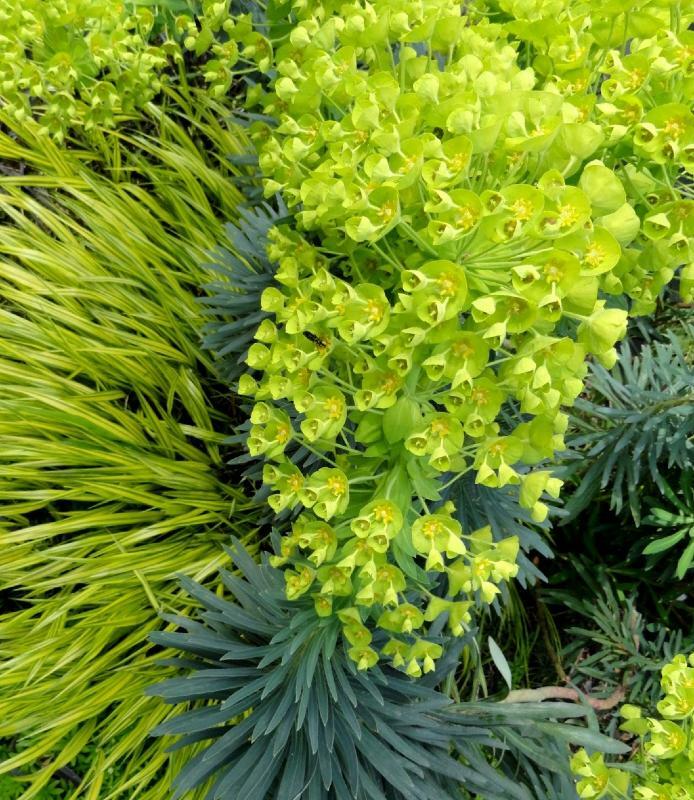 Euphorbia characias John Tomlinson is an erect open habit medium sized evergreen perennial. 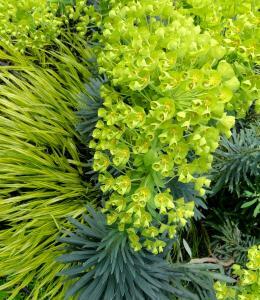 The plant has narrow grey-green leaves with large rounded heads of bright yellow-green flowers in spring and summer. Prefers to grow in full sun in light, well drained soil. Cut back flowering shoots to ground level in late summer or autumn. Hardy. Height 1.5m, spread 1.5m.